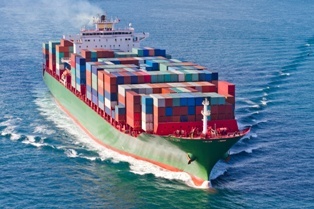 What are some common tactics insurance companies use to limit maritime injury claims? After you have been injured on the job, you may be relying on your employer to provide payment for your medical bills and lost income. 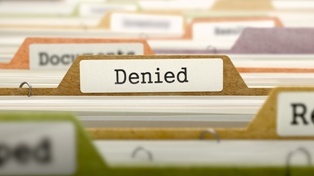 Unfortunately, many employers and their insurance companies will first look for ways to limit or deny claims instead of paying out. Injury treatments can have expensive and long-lasting effects, and it is far more profitable for the insurance company to deny valid claims than pay for them. Some insurers may claim that the injury was caused by a pre-existing medical condition, or stop payments before the worker’s injuries have healed, forcing him to return to work too soon. 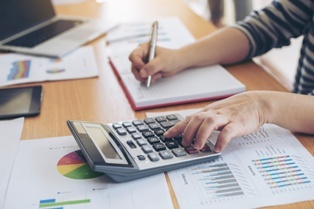 Insurance companies have teams of adjusters to calculate how much your claim could potentially cost them, allowing them to offer settlements for a fraction of the full amount. Once you accept a settlement, you cannot ask for more money later—even if your injury prevents you from earning a living. Insurers will typically contact injured employees soon after the accident to obtain a recorded statement. While they may claim that these statements are used to document the incident, they are actually fact-finding missions to discover potential ways to deny benefits. For this reason, injured workers should never agree to give a recorded statement to an insurer or employer. Injured maritime employees have the right to choose the physician who will perform and oversee their treatment. However, employers may attempt to steer the employee toward one of the company’s recommended physicians. These doctors may be on the company payroll or otherwise influenced by the employer, and may release you to return to work before you are ready. Even if you have already selected a doctor for your treatment, your employer may require you to see the company physician. However, submitting to this request can severely damage your maritime claim. Company physicians may not perform adequate or expensive diagnostic testing, advise you to resume working as early as possible, or make entries in your medical record that can be used against you in the future. 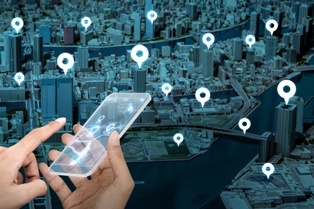 If the insurer thinks you have a good chance at collecting compensation, the company may perform surveillance of your activities in order to convince a judge that you are lying about the extent of your injuries. The company may also use your own words against you, especially any statements or accusations you made early in your claim. 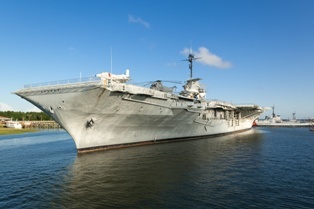 Our New York City maritime attorneys can fight on your side to get you the maximum you may be owed for your injury. Simply call (800) 362-9329 today to speak with a lawyer at Hofmann & Schweitzer or download your complimentary copy of Are You a Seaman Injured in a Maritime Accident? Know Your Rights today. What are the biggest risks to divers who perform underwater welding? 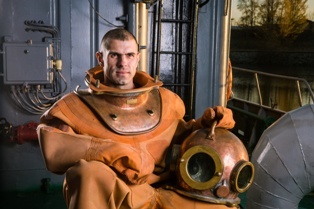 Underwater welding combines all of the hazards of hot work with the potential for drowning, making it one of the most deadly jobs performed by maritime workers. Data from the Occupational Safety and Health Administration (OSHA) suggests an average of 13 workers per year suffer fatal injuries during commercial dive activities, and the number may be even higher due to lack of complete reporting. Drowning remains the overwhelming cause of death for commercial divers. Common elements that lead to drowning are failure to identify signs of distress, solo diving, high wave currents, and becoming entangled or pinned by equipment. Defective heavy machinery may cause bodily trauma or electric shock, while handheld welding tools may cause burns and explosions. Underwater welders should be trained on proper decompression procedures during deep dives. Even with adequate training and certification, divers may suffer decompression sickness (called “the bends”) or embolism due to the necessity of immediate surfacing to treat their wounds. Maritime workers may be so focused on the job they are performing that they ignore the warning signs of hypothermia. Divers working on large projects such as hull repair or pipe maintenance must be given adequate breaks and stay in regular contact with crews on the surface. Each year brings improvements to diving gear, construction equipment, and safety standards that protect maritime employees. However, workers will see little benefit from these advances if employers and shipowners do not bring these practices onboard. If you or someone you love has been injured in a maritime welding accident, we can examine the details of your case to get you the maximum compensation you may be owed for your injury. Simply fill out our quick online contact form or call (800) 362-9329 today to speak with a lawyer at Hofmann & Schweitzer about your case. Can I hire a maritime accident lawyer from any state? Maritime injuries can involve a mix of state and federal laws, and each one will have its own limitations and options for compensation. As maritime injury lawyers who are based in New York, we represent clients across the country who have suffered an injury at sea, many of whom once worked on or near the Port of New York and New Jersey. Maritime laws are federal, meaning they protect U.S. injury victims no matter what state they are from. In theory, this means that any attorney who is licensed to do so may file a claim for a maritime injury. However, there may be many additional laws that can apply to your case depending on where you live and where the injury occurred—and an injury attorney who is unfamiliar with all the factors in your case may not currently determine who is liable for your injury costs. 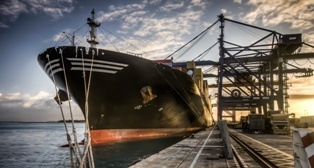 There are many maritime doctrines that can apply to an injury case, including the Longshore and Harbor Workers' Compensation Act (LHWCA), Jones Act, Death on the High Seas Act, and general maritime law. New York state has a variety of laws that protect workers across several industries, including state workers’ compensation and construction worker injury laws. In addition, New York state laws protect victims who are injured in marinas, docks, harbors, and other marine facilities. The manner in which the injury occurred could affect the length of time a victim has to file for compensation. For instance, most cruise ship accident claims must be filed within one year of the incident, while victims must file a notice of claim with a New York municipality within 90 days. If you or someone you love has suffered an accident at sea, we can carefully examine the details of your case to get you the maximum compensation you may be owed for your injury. Simply fill out our quick online contact form or call (800) 362-9329 today to speak with a lawyer at Hofmann & Schweitzer about your case. My maritime employer is trying to deny payment for my treatment. Can they do that? Maritime laws state that employers are obligated to pay the costs of any reasonable medical treatment after an injury at sea. Unfortunately, many maritime employers and their insurance companies will deny payment for certain procedures that they think are too costly, claiming that these treatments are not actually necessary. 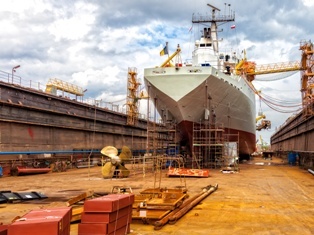 Although maritime employers are responsible for paying the medical bills, they are heavily involved in the process, creating a conflict of interest. All treatments must be authorized by the maritime employer in order to secure payment, and all injured workers are required to see a doctor who is approved by the insurance company. Injured workers should always see a trusted physician after an injury at sea, even if they are required to meet with a company physician. 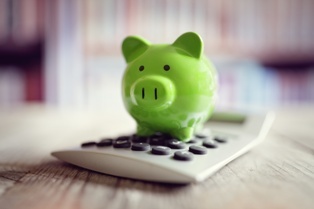 The costs of many surgical procedures, such as spinal fusion or joint replacement surgery, may range from hundreds to thousands of dollars. Even if a doctor recommends surgery as the best possible treatment for an injury, the insurer may deny the expense, claiming that there are other less expensive treatments available and not all alternatives have been explored. Doctors typically rely on a variety of diagnostic tests to fully understand the extent and nature of an injury, including x-rays, CT scans, or MRIs. However, a doctor working for the insurance company may neglect to order one or more scans to save the insurer money—or to avoid finding a potentially costly complication. Workers may need physical therapy for months or years in order to improve mobility, as well as take medications to treat chronic pain. Insurers may reject claims for psychological consequences of an injury, claiming that the mental or emotional effects stem from a pre-existing condition or are not related to the work injury. Insurers are often resistant to claims for prosthetic devices, wheelchairs, spinal cord stimulators, or other devices that can increase quality of life. Our maritime injury attorneys are based in New York, but we represent clients across the country who have suffered an accident at sea. 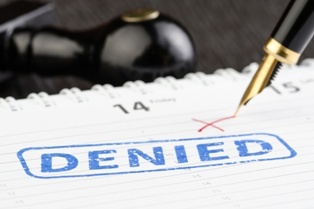 If your benefits have been denied or withheld, you may be able to collect punitive damages. Simply fill out our quick online contact form or call (800) 362-9329 today to schedule your free consultation.